It was also the first time Russia used in combat a new air-to-surface missile, KR Kh 101/102, which has been in service since 2012 but was not shown in public before. 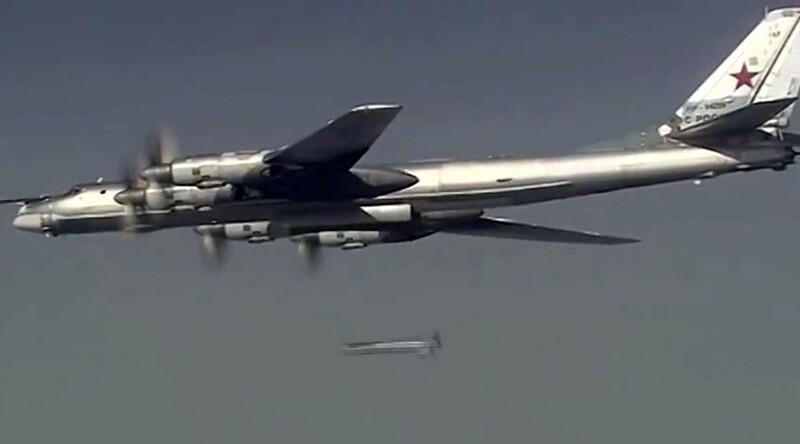 The missile can be seen inside a bomber bay in a video released by the defense ministry. Russian security forces confirmed that the passenger plane en route from Sharm el-Sheikh to St. Petersburg that crashed in Egypt’s Sinai on October 31 killing 224 people was downed by a bomb planted on board by terrorists. The group Islamic State claimed responsibility for the attack right after the crash. Vladimir Putin has vowed to find and punish the culprits behind the Sinai plane attack. “Our military work in Syria must not only continue, it must be strengthened in such a way so that the terrorists will understand that retribution is inevitable,” he said. This week both Russia and the US-led coalition, which is conducting its own separate campaign against IS in Syria and Iraq, increased pressure on the terrorists in response to the spree of violence in Paris last Friday. The coalition reported conducting 20 sorties and hitting 14 targets on the same day.